Many recipes include pre-cooked items such as lentils, chicken, quinoa, and sweet potatoes. And while some of you are expert chefs, It's nice to even the playing field with a series of how-to articles that will teach you how to cook the basics. For starters, today it'll be how to cook lentils! 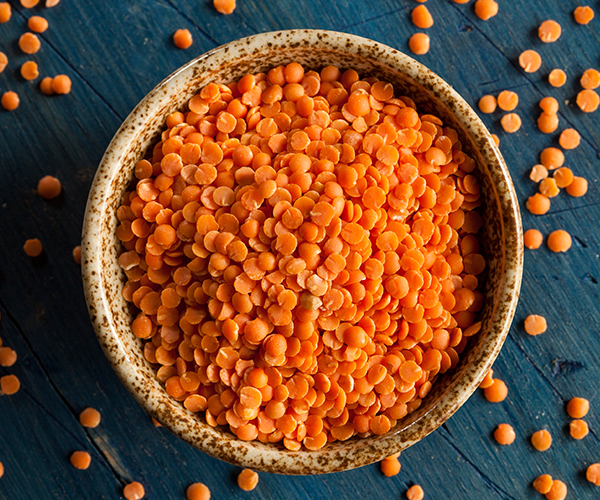 Lentils are cheap, cook up quickly, and are loaded with fiber and protein. When eaten together with rice, they form a complete vegetarian protein. Look for them in the bulk bins of your grocery store, or packaged with other dried beans. 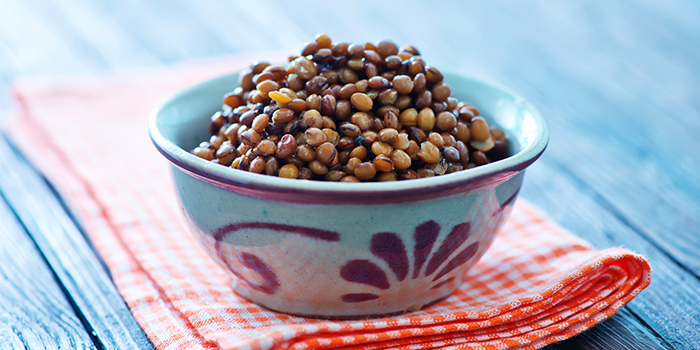 Some markets sell pre-cooked lentils, but they are easy to make yourself and cost just pennies per serving. 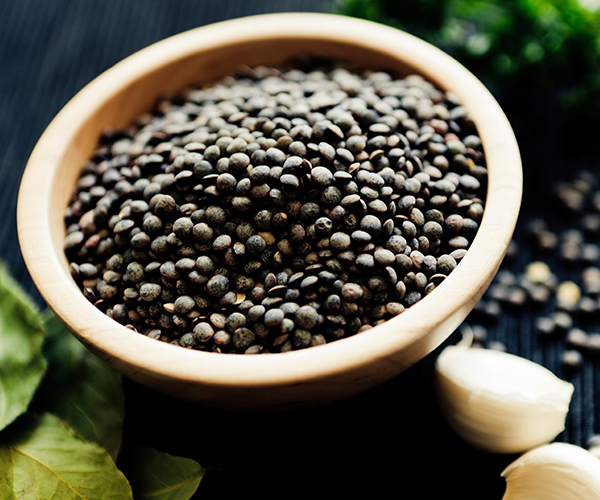 Lentils come in a variety of colors, from brilliant orange and red to muted green and brown, and each has its own flavor and texture profile. It’s also important to note that the cooking time differs between each. 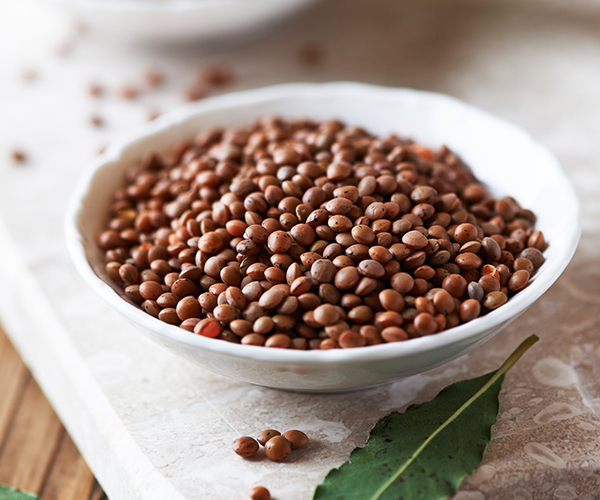 Whether they are a light, khaki color or dark greenish-brown, brown lentils are the most common type of lentils. They have a mild, creamy flavor similar to kidney beans. 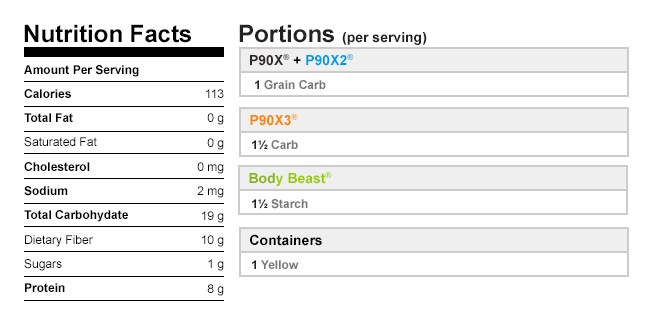 These are the lentils used in our recipe below. They hold their shape well, but can also be easily mashed to form bean burgers or vegetarian meatloaf. Brown lentils have a similar cooking time to white rice, so you can cook them together with a variety of spices, like cumin, curry, or cardamom. Ranging from pale sage in color to dark green mottled with brown or black, green lentils have a robust earthy and slightly peppery flavor. They generally take the longest to cook, and when done, their exterior texture remains firm, while the interior is tender. Because they hold their shape so well, they are ideal as a hearty side dish or served as a bed for proteins. These thin discs look similar to split peas. Red lentils are the sweetest and mildest pulse in the lentils family and range in color from red to pink to pale yellow. This variety cooks quickly and breaks down to form a flavorful, thick paste that is perfect for soups, stews, curries, and sauces. 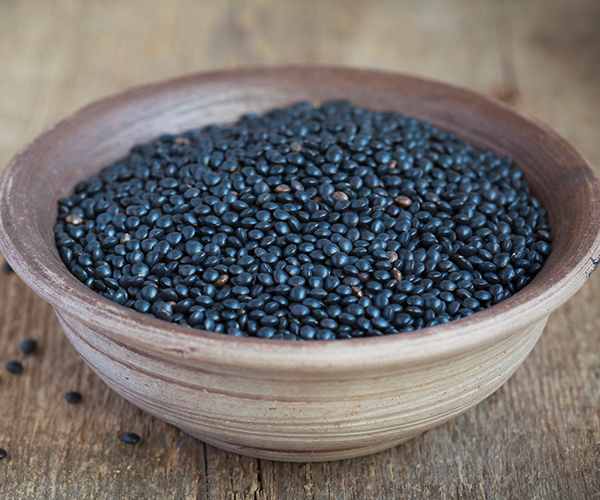 When cooked, tiny black lentils glisten like beluga caviar, creating a dramatic color contrast with other ingredients in a dish. They have a rich, nutty flavor and velvety texture that tastes great in green salads, pastas, and mixed vegetables. Keep tasting your lentils as they cook to see if they’re the texture you want — firm if you’re eating them as a side dish, softer if they’re meant for soup or stew. Once lentils are cooked, pair them with fish, chicken, or pork loin, or keep them in the fridge to use in a buffet-style meal prep. They can also take the place of beans in soups and chilis. Want to get really adventurous? Try scrambling them with eggs, tossing them in green salads and grain bowls, and add some vinegar to help further enhance their flavor. 1. Sort through lentils to make sure there are no small stones. Rinse lentils in colander under cool water. 2. Bring water and salt to a boil in medium saucepan over high heat; add lentils. 3. Bring back to a boil; cover, and reduce heat to maintain a gentle boil; cook for 20 minutes or until lentils are tender. To add even more flavor, use broth instead of water. Have a rice cooker? Using 1:1.75 water ratio and make them with the touch of a button.